Various image-enhanced endoscopic systems are available in clinical practice. For effective detection and histological prediction of lesions, endoscopists should understand the advantages and limitations of each imaging technology. Narrowband imaging (NBI) illuminates the tissue surface by using optical filters that narrow the respective red-green-blue bands. I-scan and flexible spectral imaging color enhancement (FICE) have proprietary image processing algorithm applied on white light images based on spectral emission methods. Herein, this chapter focuses on understanding the detailed principle and clinical applications of advanced imaging technologies such as NBI, i-scan, and FICE. With recent advancement in endoscopic imaging technology, optical biopsy has been enabled as real-time histologic prediction of tumor. The improvement of endoscopic resolution can facilitate the accurate and detailed endoscopic findings. 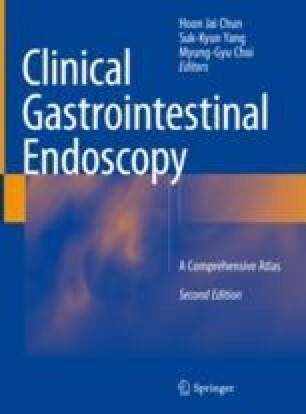 Moreover, new imaging technologies may make the endoscopists walk a big step in the field of diagnostic and therapeutic gastrointestinal endoscopy. In the future, further studies are needed for evaluation of cost-effectiveness and diagnostic accuracy.